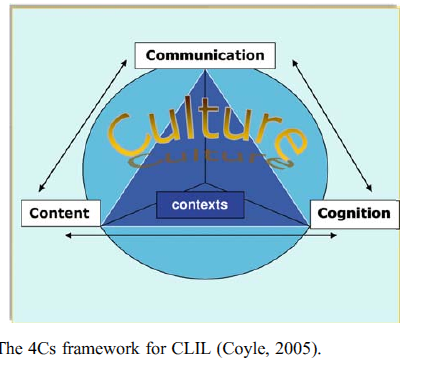 CLIL is complex and context-sensitive. There are general parameters for CLIL. These are: Cognition, Culture, Content, Communication. Any particular CLIL model or methodology needs to consider the relative value/importance of the parameters above. Coyle, D. (2008). 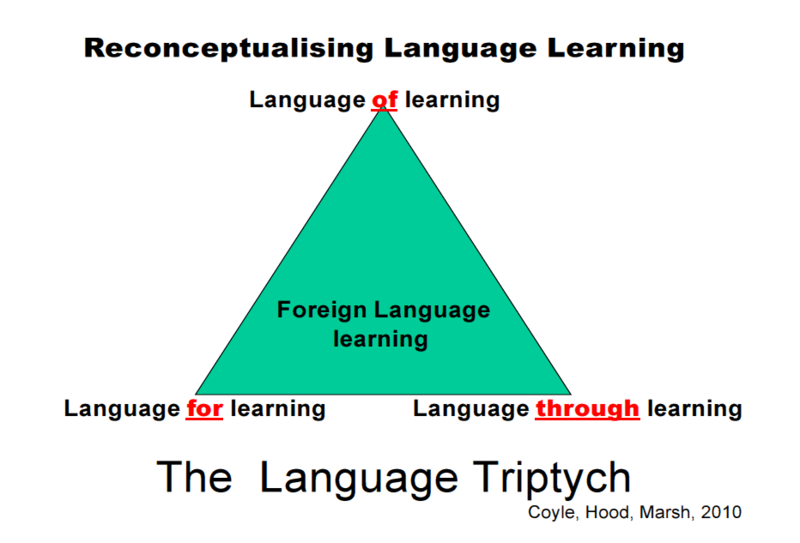 CLIL – a pedagogical approach. In N. Van Deusen-Scholl, & N. Hornberger, Encyclopedia of Language and Education, 2nd edition (pp. 97-111). Springer. 5. Interaction in the learning context is fundamental to learning. 6. The relationship between cultures and languages is complex. (Byram, Nicols, and Stevens, 2001). potential in any model, at any level and any age.